The importance of the mountain snowpack to California's water supply is legendary. But according to a new study, its impact reaches far below the Earth's surface to the state's tectonic foundations. And that impact can be measured and to some degree, even predicted. Scientists at the Berkeley Seismological Laboratory have made some new revelations about the link between snowfall and earthquakes in California. But it's not the snow itself that triggers earthquakes, it's what happens when that snow melts away. The result is a bit like compressing a spring and then letting it go. "The redistribution of water on the Earth's surface in the form of snow, groundwater, surface water ultimately adds stresses to the Earth," explains UC Berkeley geophysicist Roland Bürgmann. "It flexes the Earth ever so slightly. And that flexing changes stresses everywhere on the Earth, including on faults." Animation shows how stress on California's seismic faults changes as the mass of mountain snow and surface water is redistributed by season. To measure these stresses, Bürgmann and graduate student Chris Johnson used GPS and other data to track tiny movements (we're talking fractions of an inch) in the state's topography, then mapped them against nine years of seismic activity throughout California. What they found, among other things, was not one general effect but a whole panoply. "It depends on the fault," says Bürgmann. For example, on California's most infamous fault, the San Andreas, the snow load in the Sierra "adds compression" to the fault, in effect squeezing together the tectonic plates on either side, so the fault is "slightly less likely to go." But in the spring, when that snow melts and its weight is redistributed into rivers, reservoirs and soils below, that loading is reversed and the fault is somewhat more likely to slip before the snow returns. "The emphasis is always on the 'little bit," cautions Bürgmann. "We're not saying that the San Andreas only has earthquakes in the fall." A little event in 1906 that you might've heard of would seem to confirm that, though Bürgmann says over time, the San Andreas has been a bit more active during the autumn months. Nor are the researchers declaring an "earthquake season" for California. "It's not necessarily that every fault is experiencing the same stress that would encourage it to slip at the same time," says Johnson. "Every fault has its own orientation," adds Bürgmann. "It's at a different stage in its earthquake cycle, and so one really has to consider all those details to make the connection." 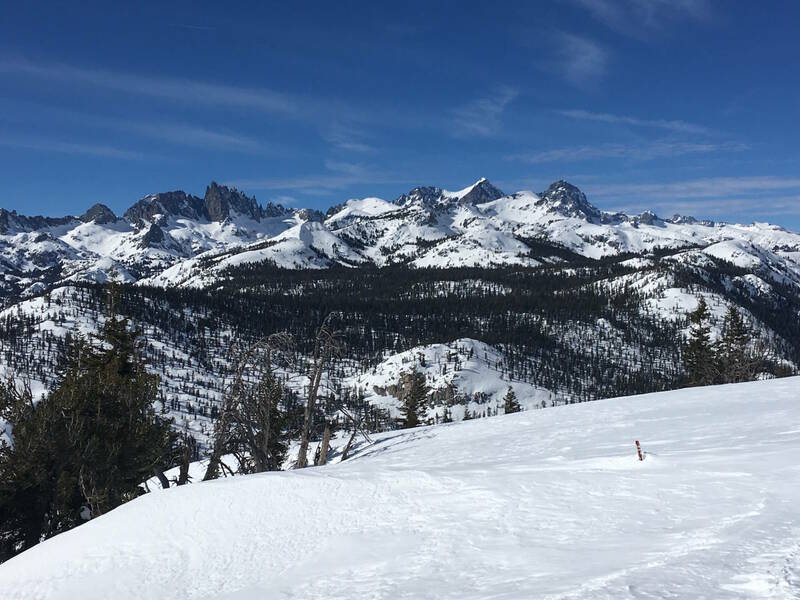 The scientists' study period did not include the effects of this year's record-setting snow volume, but did include the large snowpack from 2011. Bürgmann and Johnson say the data from their work illustrates how stressed California's faults are, so that very small changes in stress can pull the trigger on them. As Johnson puts it, "It is advancing the clock on these different faults." The authors say the work could eventually be factored into forecasting models, to make attempts at earthquake prediction less vague. But connecting single events to shifts in water weight is not in their sights. In 1975, barely six years after Oroville Dam was finished and its huge reservoir flooded with water, a series of quakes culminating with a magnitude 5.7 temblor shook the area. Did the weight of more than 4 million acre-feet of water and its subsequent rapid release from the reservoir tip the tectonic scale enough to cause the quake? It's been on the list of suspects for years, but the answer is still a definite "maybe." The same goes for the 2014 South Napa earthquake, according to Bürgmann, which struck in late summer, as one might expect from the stress model. "For any individual earthquake, we never know." Bürgmann and Johnson's study was published on Thursday in the journal Science.